This is where the development on Data Realms' projects can best be followed. To be notified of new posts, use RSS or sign up by entering your email address below. Also visit our forums! Planetoid Pioneers Game-Only Edition RELEASED TODAY for $9.99! Comments Off on Planetoid Pioneers Game-Only Edition RELEASED TODAY for $9.99! Planetoid Pioneers CE Build 5 + BIG things coming this week!! The team has really pulled together quite the game experience for our Game-Only Edition that is coming out… well, just stay tuned this week 🙂 Please help us by playing the Primoid and let us know your thoughts and issues you run into in the Contributor Community Discord server (find access to it on the Steam Forums here once you log in!). Better yet, build or improve existing areas with the Crush2D tools and show us your ideas! If we like them enough, we’ll see about integrating them and giving you official credit in the game. Comments Off on Planetoid Pioneers CE Build 5 + BIG things coming this week!! Comments Off on Contributor Edition Build 4 – Play and help us improve the Primoid! Cortex Command now pumps up to 2x more frames per second!! Game activities no longer slow down when played for too long. Added keyboards shortcuts for weapon switch, reload, drop and pickup actions (also works with gamepads). Gib editor now rounds all offsets. Deployments can spawn flipped for non-flipped actors. It’s easier to find out how many gamepads were detected and who moves the cursor in UIs. Limbless actors will inevitably and quickly die. Reworked Test Activity to act as an ordinary GAScripted and execute Global Scripts (good for testing and debugging global scripts). Bunker breach can be used with randomized bunkers. Added randomized fortresses for Bunker Breach. Added new skirmish activity Siege, which uses Bunker Breach maps. Nerfed heavy ronins a lot. Added global script, which gives 3x more gold when digging. Added infinite ammo global script. Added invincible crafts global script. Added instant and delayed delivery global scripts. Added range checks to functions, which take Team as parameter to avoid memory corruption. When brain actor is deleted, MovableMan checks if it’s a brain and if it is, set’s this brain to 0 to avoid crashes. Dead actors reduce their AngularVel. Fixed crashes in allegro and luabind. Vanilla activities now count used MOIDs on per-team basis. Fixed the shield-related crash in Campaign. Primitives are no longer drawn on top of game UI elements. Fixed a bug, which caused a crash in buy menu. Fixed crash caused by digging. property FiredOnce, r/o , Whether at least one round has already been fired during the current activation. May be 0 because weapon might have activated but no actual rounds were fired yet. property FiredFrame, r/o, Whether at least one round has already been fired during the current frame. Use this to check if weapon fired something. property RoundsFired, r/o, How many rounds were fired during this frame. So keep an an out for it dropping this weekend, right before the year ends! Speaking of which, Cortex Command can be bought for LESS THAN THREE DOLLARS on Steam right now during the Winter Sale HERE. Only until the 2nd of January, though… so this is a good time to spread the carnage; buy a copy for a friend! Comments Off on PPCE Build 2 is HERE – Mount them monsters! 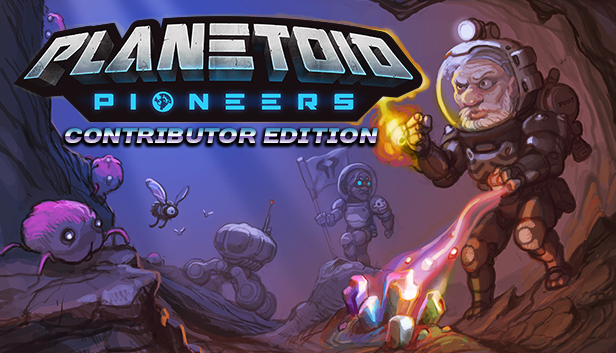 Planetoid Pioneers Contributor Edition – Build 1 OUT! There’s plenty of other changes based on Contributor feedback, so head over to our repository twitter stream for the nitty-gritty details. Comments Off on Planetoid Pioneers Contributor Edition – Build 1 OUT! For everyone in the Pioneer Program (sign up here), this is a big update day we’ve all been waiting for. Head on over to you-know-where to get it! Changelog and more info coming soon.. this is a big step from the last test build. 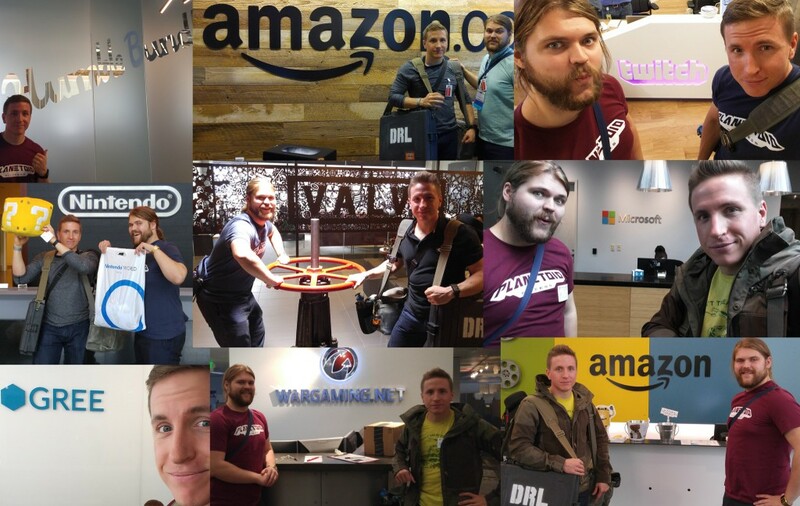 The core team at Data Realms just spent the last three months working together at Stugan, showcasing during Gamescom, PAX Prime, and also having a series of meetings with platform holders including Nintendo, Microsoft, Sony, Valve, and several others. The responses were very positive, telling us that we have achieved a great foundation and direction for the project. However, it was also made clear that expectations have escalated for Steam Early Access, and we received wise recommendations to build more game content and polish before pulling the trigger. So, we have come to the conclusion that we should postpone the Early Access release of Planetoid Pioneers to early next year, instead of rushing it out the door this fall.